AmericanMuscle.com Premier store carries over 1000 Mustang parts and accessories. Features the largest mustang wheel selection available and offers free mount and balance with tire purchases. Committed to expert customer support, great prices and fast, free shipping! Well guys it's the first of the month and you know what that means. 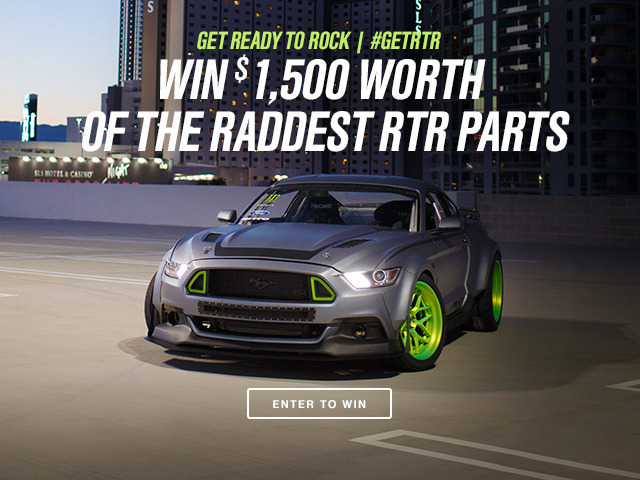 It's time for another sick giveaway and for the month of October We've teamed up with one of the raddest vendors out there and we want to get you $1,500 Worth of Free RTR Parts! To get signed up click the image above or the link Right Here! Let me know if you have any questions and best of luck. I'm in -- you must have lost my contact information for the September give away since I didn't get a call LOL. Have faith my friends! We run these contests in a few different places and I'm doing my best to get a forums specific giveaway set up for us!